Across all 7 seasons there are 44 filming locations; I’ve taken a look at 10 iconic locations that you could visit on one of our holidays, taking you into a world of mediaeval fantasy and intrigue. Remember: “fear cuts deeper than swords”. Look out for the lavish royal palace Alcázar de Sevilla at the centre of the city of Seville, which transforms into the Water Palaces of Dorne, the extravagant summer home and private residence to House Martell of Sunspear, the rulers of Dorne, the southernmost part of the kingdom of Westeros. 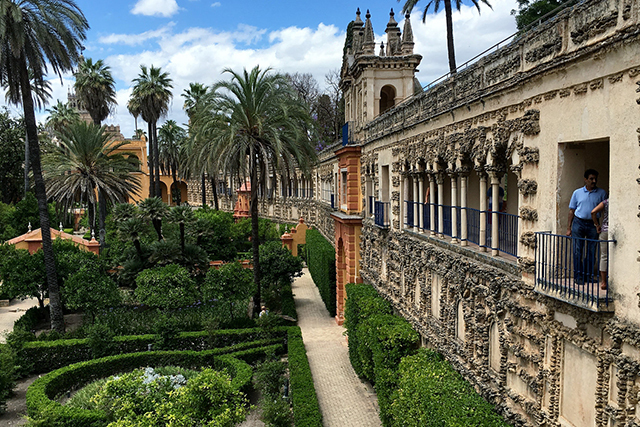 Visit the palace by extending your stay in Seville on our Andalucia cycling trip. The town of Osuna also features in season 5 of Game of Thrones; scenes were filmed in the bullring between Daenerys and Meereen slave masters (Daznak’s Pit). 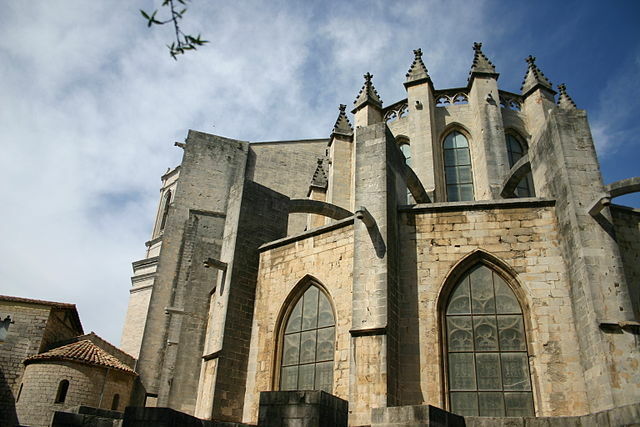 Playing a leading role in the 6th season as the backdrop for Oldtown in the free city of Braavos, many landmarks in this mediaeval city have featured throughout the seasons, including the Girona Cathedral, where Jamie Lannister braved its staircase on horseback, the old Jewish Quarter and the Arab Baths. Step into the characters’ footsteps on day 7 of our Classic Catalan Cycling trip. In series 5, the Roman bridge became the Long Bridge of Volantis, when film crews shot scenes with several cameras and a drone to make it appear even longer for the show. 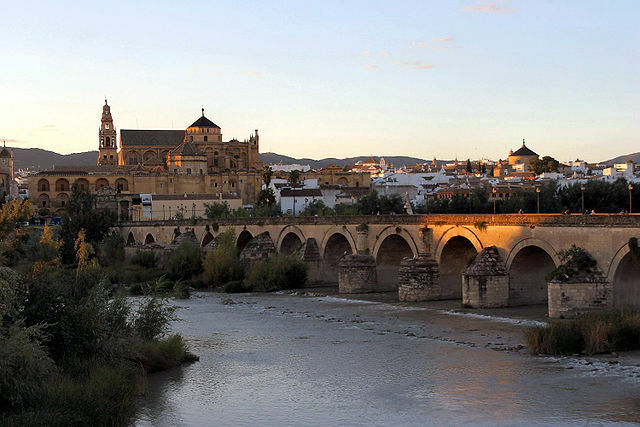 Marvel at this structure on day 4 of our walking trip to Córdoba. 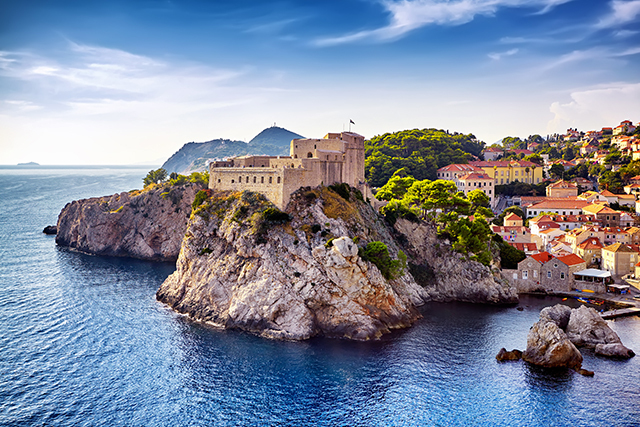 This monumental UNESCO-listed city, packed with historic sites, is the seat of the kings of Westeros, where you can recreate Cersei’s walk of shame down the steps in front of the Church of St Ignatius of Loyola, or stroll through the Pile Gate, the entrance to King’s Landing’s Old Town. 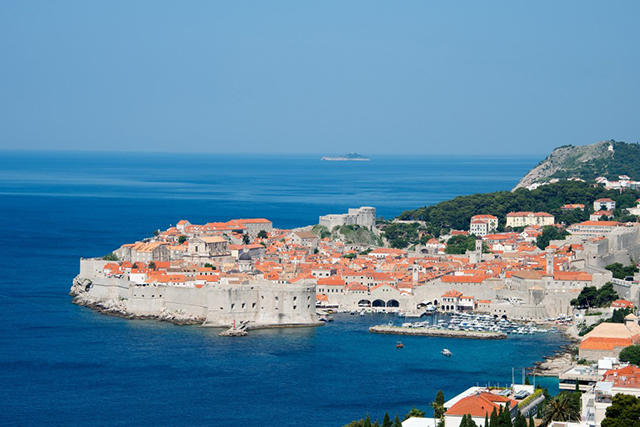 Visit the sites on our walking trip to the Dalmatian Coast. The highest point along Dubrovnik’s city walls, this important defence tower is the House of the Undying in Qarth during season 2. Daenerys Targaryen, the Queen of Dragons, goes inside to look for her dragons. 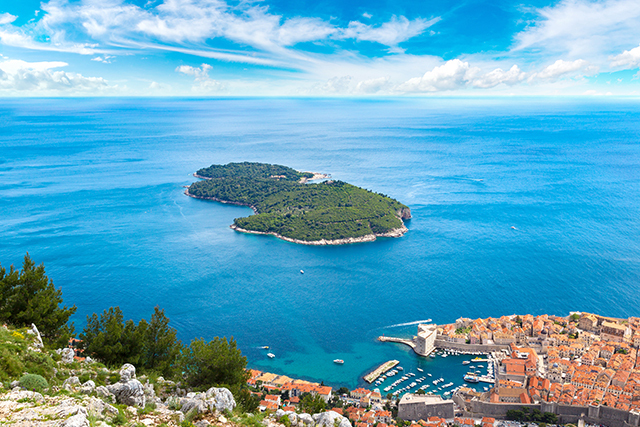 Reimagine the scenes on our walking trip to the Dalmatian Coast. From season 2 onwards, this fortress was used as the setting for the heart of King’s Landing, The Red Keep. It sits outside Dubrovnik on a 37m high rock on the shore and the bay directly in front of the fortress was used for the climatic scenes during the Battle of Blackwater. 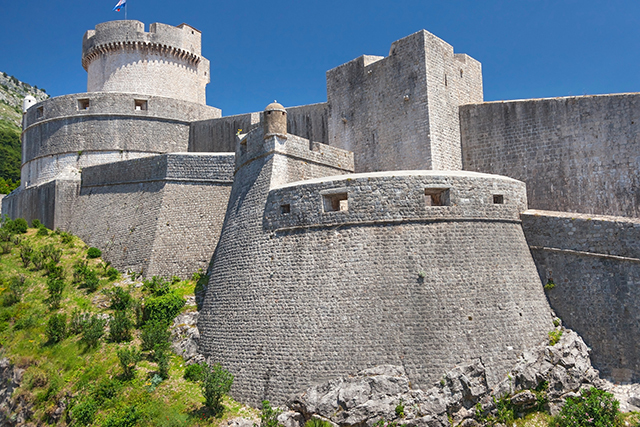 Venture to the fortress on our walking trip to the Dalmatian Coast. Qarth, the ‘Queen of Cities’ on the continent of Essos is the lush green island of Lokrum in real-life, only a 10 minute boat ride from Dubrovnik’s old port. You’ll see Lokrum in season 2, featuring Daenerys. Take a trip to Lokrum on our walking holiday to the Dalmatian Coast. 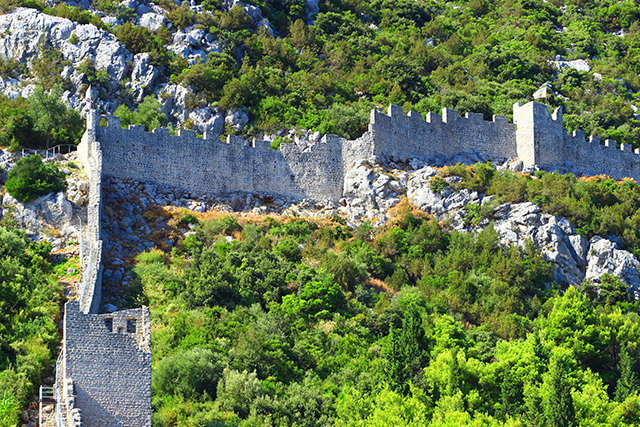 The famous Walls of Ston have featured as part of the fortifications surrounding the western part of the city. At 3.5 miles long, this defensive structure is prone to tourists traipsing along the stones on ‘the Great Wall of Europe’. During season 5, scenes involving Cersei Lannister were filmed inside this UNESCO World Heritage Site. 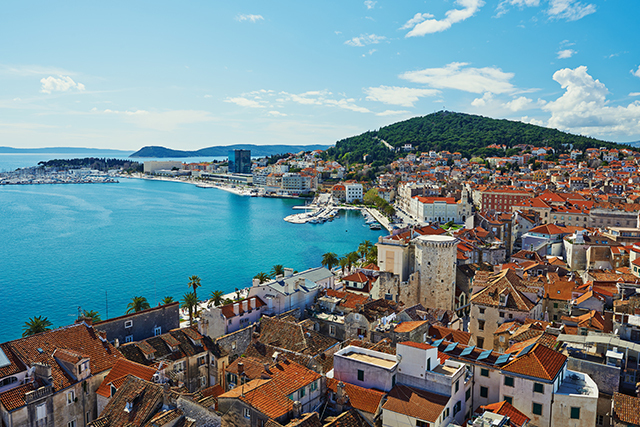 On day 6 of our trip to the Dalmatian Coast, we join a guided tour of Split. A myriad of stunning lakes and waterfalls, Krka National Park features in Game of Thrones as the backdrop for locations all over the Seven Kingdoms. 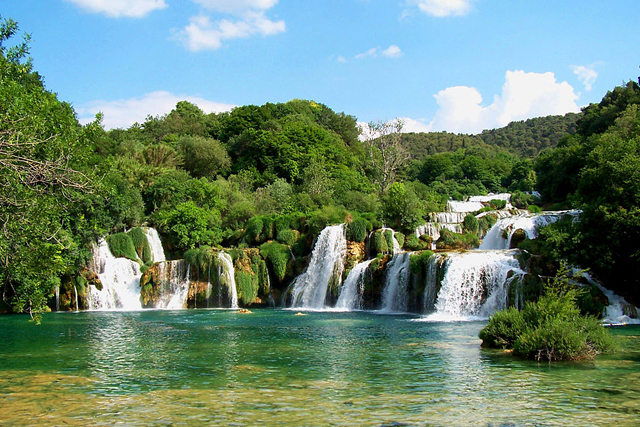 On day 7 of our Dalmatian Coast walking trip you’ll enjoy a picnic in the park and admire the tiers of ponds bright with yellow waterlilies that shimmer below the mighty Skradinski Buk waterfall – magnificent! The peaceful atmosphere and tranquillity is quite the opposite to the violence in Game of Thrones. Can’t wait until you visit the locations in person? Take a look at Google Maps’ shots of all the Game of Thrones filming locations, complete with descriptions – it’s pretty cool!